Around the world, Bracket employees have supported various charitable initiatives throughout 2015. Employees at Bracket believe in giving back to our local communities and collectively we have donated and volunteered countless hours for several charitable events. Bracket in Langhorne, PA collected 100lbs of food during the 2015 holiday Food drive. 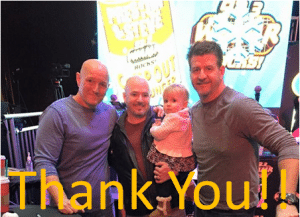 The contribution was made to Preston and Steve WMMR Campout for Hunger, which directly benefited Philabundance. This food drive collected a total of 1,161,290lbs of food, which comes out to 580 tons! 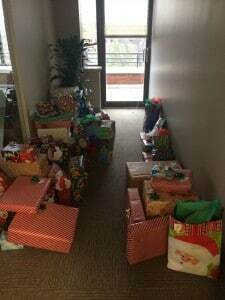 The San Francisco, CA location supported California’s foster children by donating toys to Sleep Train. This toy drive helps provide foster children with supplies, shoes, clothing, and toys throughout the year. Bracket international office in Reading, UK took part in Mencap, where Bracket employees volunteered their day to paint a day care center. In addition, the UK office also held a coffee morning for the MacMillan Cancer Support Charity, and on the 8th of December, staff continued to volunteer their time for Reading Family Aid, where they helped pack and sort toys for distribution to families in need. We at Bracket know our support is making a difference, and we are excited to see how we can help our communities throughout 2016!